For over 35 years, Travel Media Group has helped hoteliers attract more guests. We give hotels a competitive edge through digital marketing and business insights. Our social media services will help you expand your reach and engagement online. Use proactive guest feedback strategies to increase your quality & quantity of reviews. Get unlimited, professional review responses for every major online review website. Get hospitality’s first guest feedback management system for social & reviews. 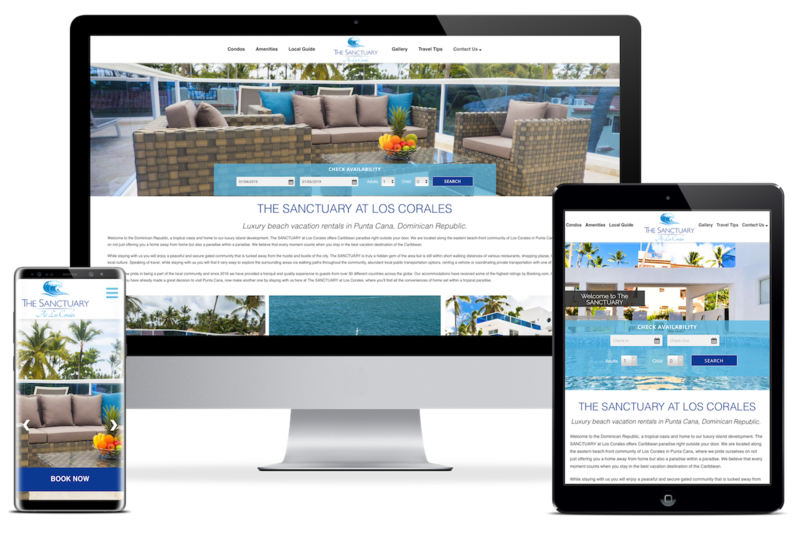 Drive more direct bookings with an SEO-friendly website to attract hotel guests. Drive reservation-less travelers to your front desk, increasing your occupancy & revenue. Connect with guests on every platform. Revolutionize guest engagement with TMG OneView™. 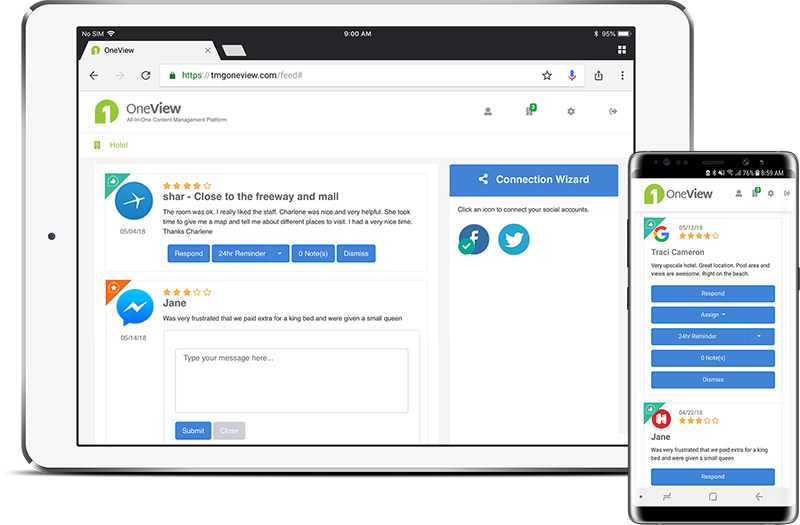 This easy-to-use platform syncs all of your reviews, posts, and messages into one place so you can respond, interact, and engage online. Take control of your hotel’s reputation and never miss a thing. We highly recommend working with the TMG team; they really are a total package in terms of the services, and their quality, that they offer to businesses in the travel and hospitality industry. Travel Media provides prompt, professional and personal replies to nearly all sources of guest comments. This service makes reputation management a breeze and saves lots of staff time. Our Reputation Analyst has absolutely become in tune with our hospitality culture, and never fails to provide outstanding service and responses. I highly recommend this service. We started using Travel Media Group to support our online social media accounts about 3 months ago. We have already seen an increase in likes and follows on Facebook, and people are more engaged than ever! Our hotel is looking forward to a continued partnership with TMG! We provide the best resources in the industry for hotelier education. Whether you’re a long-time owner, a new manager or just starting out in the hospitality business, we’ve got resources for you. Find helpful blog posts, detailed white papers, engaging webinars and podcast episodes on every topic from ADR to Z.